It seems strange to think of Chris Cooper’s Lines as a “debut album,” considering the artist behind it has long been a fixture in Sylva’s music community. 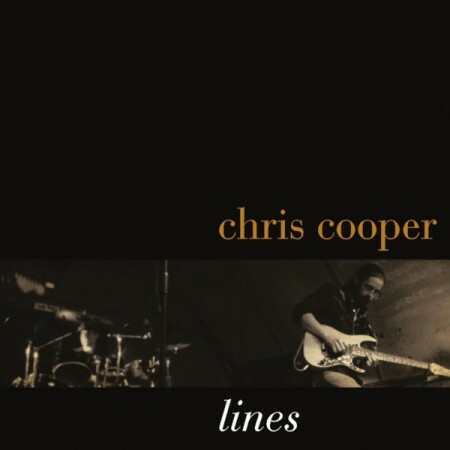 But Lines, recorded in 2011 at Western Carolina University and only recently released, is the first collection of Cooper’s original jazz-fusion compositions to be made available for purchase. Lines displays exactly what music listeners in Jackson County have come to expect from Cooper: sharp, technical guitar work; fluency across a wide array of styles; and a sense of subtlety too rarely displayed among adherents of the Joe Satriani School of Witchcraft and Guitar Wizardry. Quiet has been very, well… quiet over the last six months or so. Let’s not get into it. But there are a few things worth talking about happening at the moment, so there may be a brief flurry of posts. Local (pictured) has been in the studio sporadically over the past few months and should have a recording to show for it very soon. PMA is in roughly the same boat. Quiet superfavorite Luke Webb of The Imperative fame has been working out new material with a new outfit of late, but no one’s making any promises. Raleigh/Asheville 5-piece Oulipo bring their complex, ethereal indie-pop to Guadalupe this Friday for the second show of their two-week tour of North Carolina, Virginia, Tennesee and Georgia. 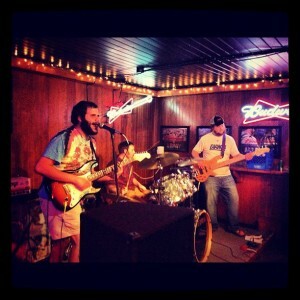 Joining them will be Morbids, featuring Sylva natives Ed Madill and Spencer Bradley of Wyla. 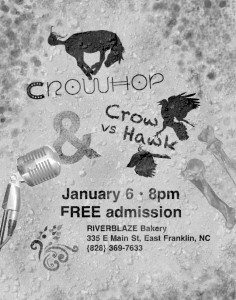 Franklin’s Crow vs. Hawk and Crowhop unite tonight at Riverblaze Bakery for what is rumored to be the last Crowhop show on this side of the Atlantic Ocean for a while. Free show at 8pm. 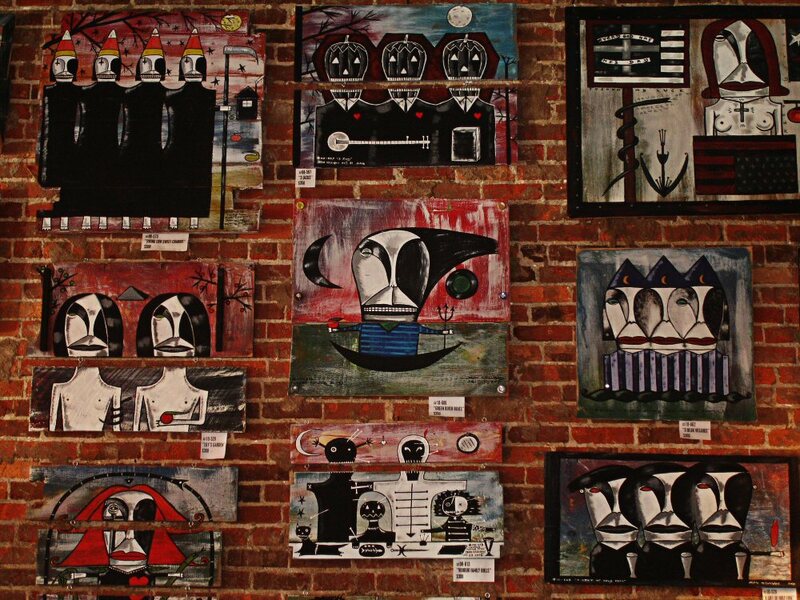 Meanwhile in Sylva, Lily Savitsky opens an art show at Signature Brew Coffee at 8pm, followed by a performance from Ukele Me Down (a rather radical departure by former members of Elbow Deep). Also free! So whichever side of Cowee you’re on, you’ve got Friday night plans. Andrews is located in the outlying western corner of North Carolina, a place far away from major roads and cities—a place that on a map looks like the middle of nowhere. Andrews’ Main Street is a narrow row of aging brick that, apart from a coffee shop and a few thrift stores, mostly houses empty store fronts. But at 982 Main Street you’ll find the space that served as the town movie theater in the fifties and the town soda fountain in the seventies. Today it hosts Dean’s, a specialty record store owned by Dean Williams. Inside Dean’s you’ll find shelves stacked with CDs and vinyl records, antique furniture and random curios. 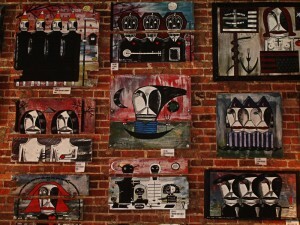 But most likely your attention will be immediately grabbed by Williams’ artwork, hanging canvas-atop-canvas on the exposed brick walls. Ghoulish faces, serpentine figures nestled in labyrinths of geometric shapes, haunting images of devils and angels, dark wintery woods and olives with eyes that seem to wink at their own inexplicability loom from paintings stacked up to the high ceiling. 1) Prog-punks Solito will play a Rocky Horror Picture Show-themed set on Friday at Tuckasegee Tavern in Bryson City. 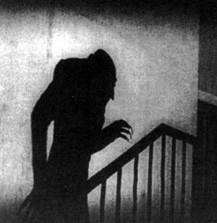 2) If you prefer to be simultaneously edified and terrified, an ensemble featuring members of the legendary Moolah Temple String Band and The Imperative will be providing a creepy soundtrack for the 1922 silent classic Nosferatu (pictured), showing at 8pm Saturday at the Jackson County Public Library. 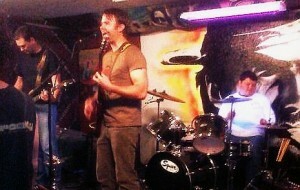 3) Elbow Deep will provide a punk-rock horror show Saturday at 10pm at Guadalupe Cafe in Sylva. 4) And of course PMA will be mellowing out the 3rd Annual Cullowheen at Avant Garden on Saturday night. 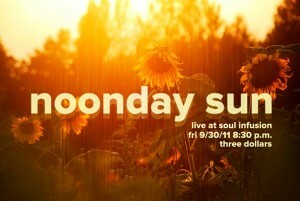 Friday night: Noonday Sun — featuring the impressively busy stylings of official Sylva guitar heroes Tommy Dennison and Chris Cooper — blows up Soul Infusion starting at 8:30pm. As Cooper astutely puts it, that’s “approximately 1,321,483 notes for $3.00.” A true volume discount! It’s also Mr. Dennison’s birthday celebration, so buy him a beer or something. 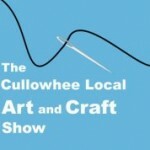 On Saturday, Cullowhee’s Avant Garden hosts the Cullowhee Local Art and Craft Show, featuring, presumably, the works of artists and craftspeople from the Cullowhee area. Admission is free, and there’s no telling what wonders and/or horrors visitors might encounter. UPDATE: Admission may in fact be two dollars, because there will be live music of some sort. The grapevine yields no further information on the matter. 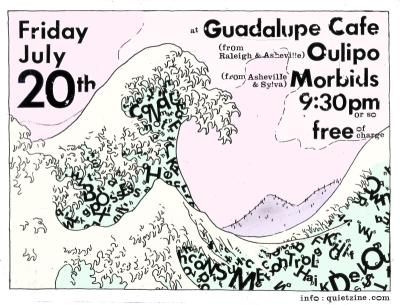 Frequent visitors from Athens Eureka California will be back at Guadalupe Cafe this Friday for their last stop on a month-long, national tour that took them all the way to… yes, the actual Eureka, CA. Just guessing, but you probably want to check this one out. …then you probably hadn’t considered the possibility that its blight might consume an additional frequency. WCU and a brigade of lawyers are trying to wrangle the rights to broadcast at 95.3FM, which the FCC has tentatively awarded to the Sylva-based environmentalist group The Canary Coalition. File under “things Quiet should have covered but didn’t”: The Power will be playing their final show tonight (9/2) at Bubacz’s Signature Brew Coffee in downtown Sylva. “The Power could just as easily have called themselves Chinese Fire Drill, and we wouldn’t be surprised if they’d been insensitive enough to do it.